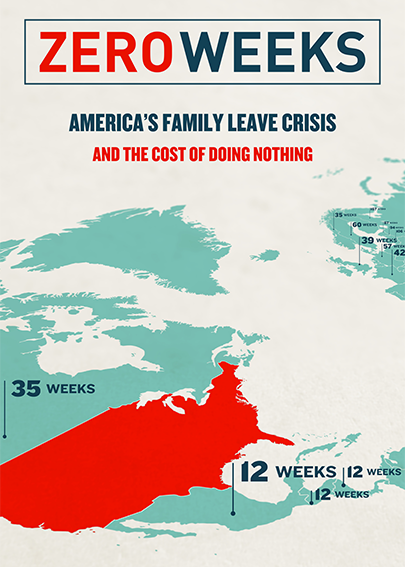 Parents need to know that Zero Weeks is a documentary about activists’ efforts to enact Paid Family Leave legislation on behalf of families in the United States. Revealing that the U.S. is one of only two countries that doesn’t ensure that folks who need paid time off to take care of loved ones can do so, Ky Dickens has made a compelling, informative film to bring this concern to a broad audience. The movie provides intimate and emotional personal stories to enhance the message. Viewers can expect some poignant narratives in which jobholders from at-risk families are forced to return to work at great sacrifice to either themselves or their loved ones. They’re faced with choosing between loss of income (which may mean homelessness or bankruptcy) and supplying valuable personal time for caregiving, healing, or forming significant family bonds. Dickens sees the issue as a matter of “family values.” Mature themes, some sad moments, and one use each of “f–k” and “s–t,” make this a film best suited for teens and up.